Buy more, pay less. Save up to 20% with HP Combo pack. Original, combination set of print cartridges containing premium ink for HP printers that enable you to print brilliant, long-lasting photos and graphics, and professional-looking documents with laser-quality black text. When used with HP photo papers, a fast dry time, professional appearance and long photo life are guaranteed. For shipping to other EU countries visit this page HP SD367AE no. 21 and 22. Chcete doručit zboží do Česka? 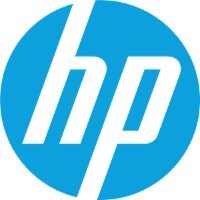 Prohlédněte si HP SD367AE č. 21 a č. 22 černá, barevná. Chcete doručiť tovar na Slovensko? Prezrite si HP SD367AE č. 21 a č. 22. Für Versand nach Österreich, besuchen Sie bitte HP SD367AE Nr. 21 und Nr. 22. Magyarországra történő kiszállításért tekintse meg ezt a termékoldalt: HP 21 és 22 (SD367AE).